Click on the year below to learn about our groundbreaking research, policy advocacy, influential media campaigns, and other highlights. 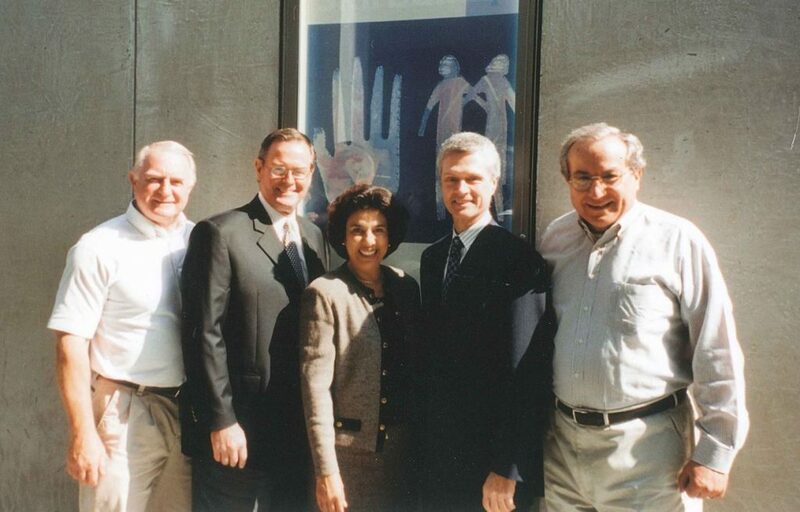 Founding Board Members: David Wolf, Bill Hauck, Antonia Hernandez, David Viar, and Steve Weiner. Happy 15th Anniversary to the Campaign for College Opportunity! Click on the icon below to share your support of the Campaign’s work on Twitter. Join our funders, partners, and friends in signing our 15th Anniversary Guestbook. Share with us why you appreciate our efforts and/or how you’ve contributed to our successes in making college dreams a reality. Since 2004, the Campaign has worked diligently to help California students turn their college dreams into reality. If you believe in the Campaign’s mission to ensure that all students have the opportunity to attend and succeed in college, join us. Let’s make higher education more accessible, affordable, and equitable, together!